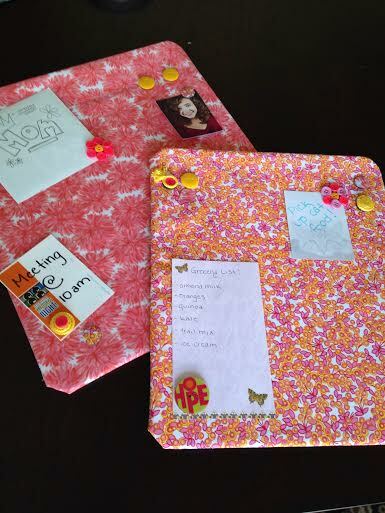 DIY: Magnet boards. | Finding delight. My sister, Katie, and I did this DIY project a few months back but I thought it was too cute not share with you guys. 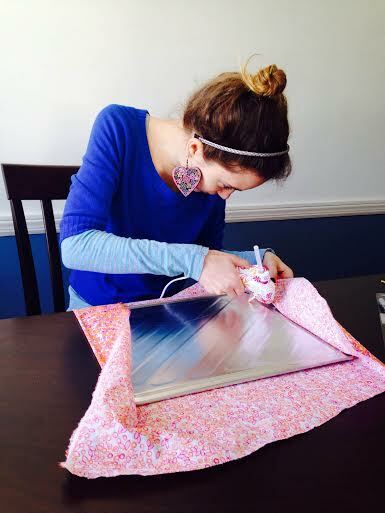 We thought it was a really adorable way to take something cheap, cookie sheets from Big Lots, and turn it into something beautiful–fabric covered magnet boards. I love how easy this project is to customize. 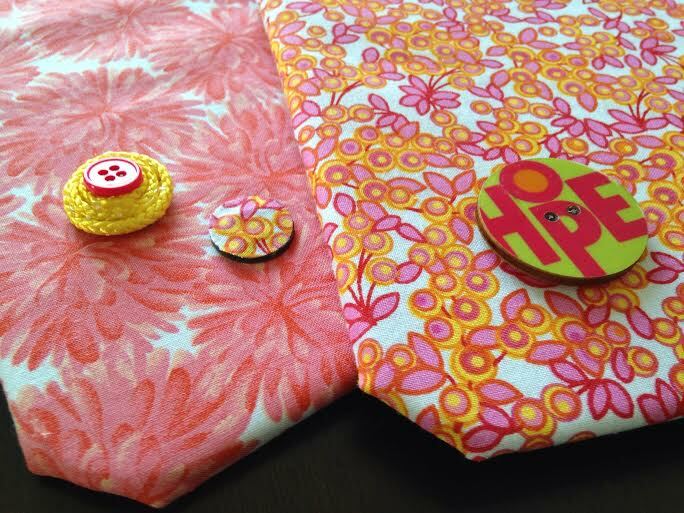 Choose fabrics and details that suit your style and follow a few simple steps…presto, change-o! You’ve got some cool decorative flair for any room. 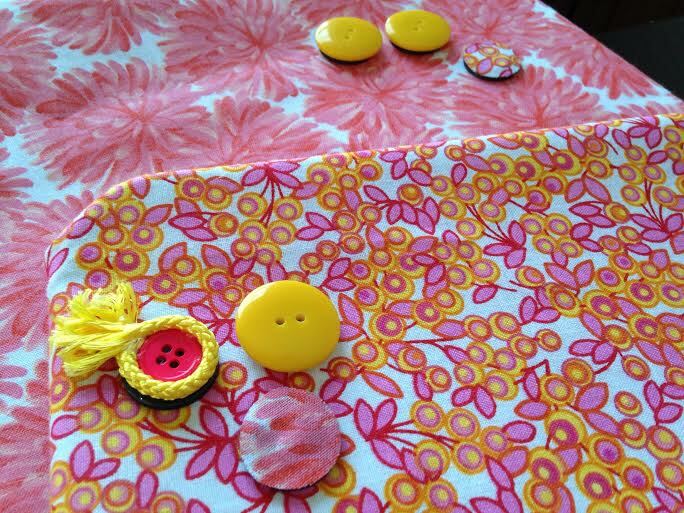 Because we were making our boards as a present for our Mom, we chose a bright, cheery color palette that we knew she would enjoy. 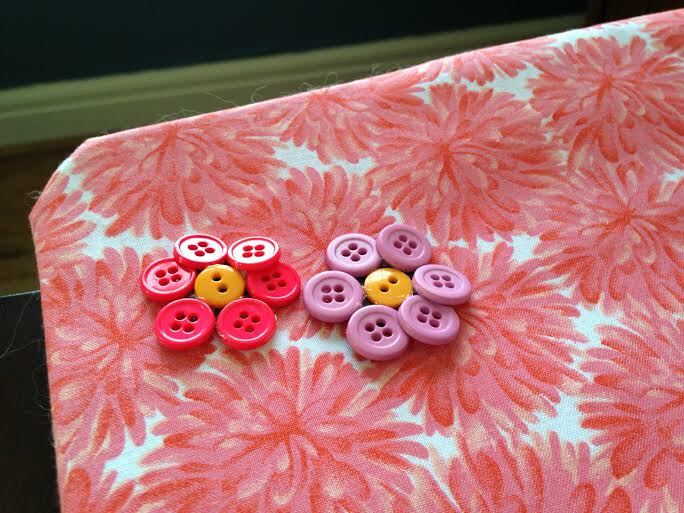 Once you’ve got a style and color palette picked out (and some GORGE buttons for magnet-making), it’s time to get started! 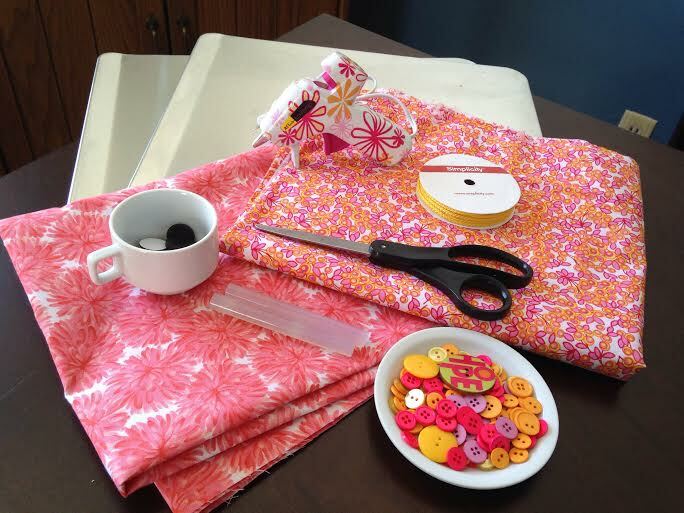 -Cut your fabric to size and hot glue it to the back of the cookie sheet. -Fold edges like a package and trim so they are all even. 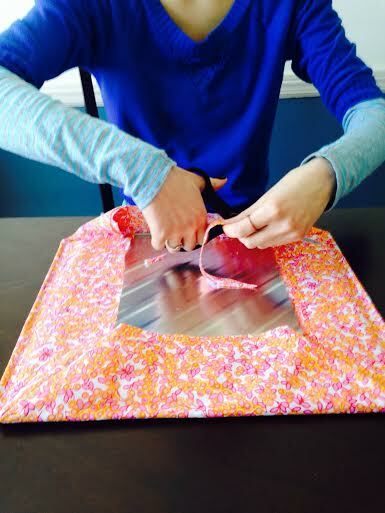 Cut another piece of fabric to size and glue over the opening–creating a backing. You could do this with a solid more sturdier piece of fabric (maybe even a felt) or stick with the same fabric you used for the front. 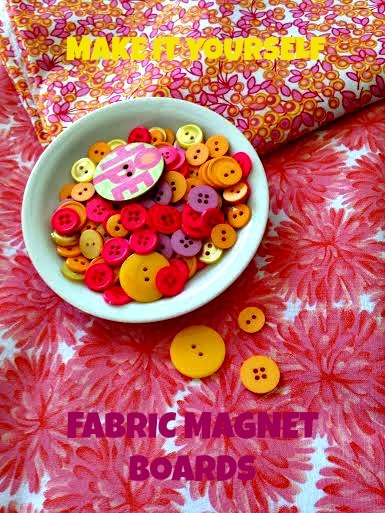 -Once your boards are covered with fabric, it’s time to make magnets! 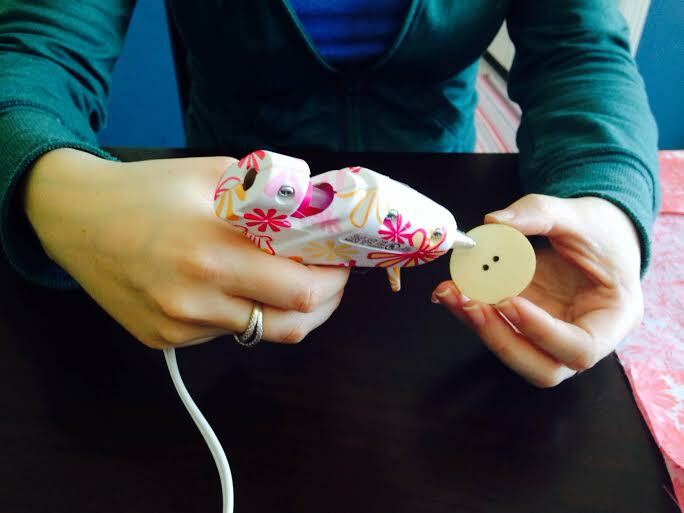 Glue buttons, ribbon, googly eyes, ANYTHING YOU LIKE onto magnets with your hot glue gun. Be sure to press them on hard and let them dry completely. -For hanging you can get some picture hanging kits from the craft or hardware store to attach to the back or just set ’em on your desk and prop against the wall. Now load your board up with grocery lists, reminders and pics and you’re ready to go! Where would you like to hang one of these babies? By your back door? At your office? What colors would you choose? My work just ordered me a new desk (eeps!) so I would love to have one there for a full work-space face-lift. Maybe in some pretty Fall colors to kick off the season!